Somehow website popups have created a bad reputation amongst online buyers. I am sure that many times customers must have felt very irritated by these popup windows which suddenly appear to block them for a while from browsing the website. Basically, these are used as CTAs (Call To Action) to get email subscriptions, display free coupons, deals, offers, inform website visitors about any upcoming event or simply welcoming them to a website. 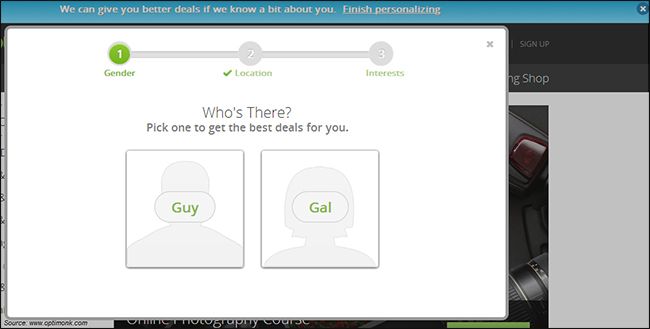 Website popups, if used logically, actually work really well. As an online shop owner, you must understand the effective ways of using it to get the maximum result. So, here, let’s discuss some really unique ways of displaying the popup windows on your online store in such a way that it gets customer’s attention easily and also helps to improve online conversions. 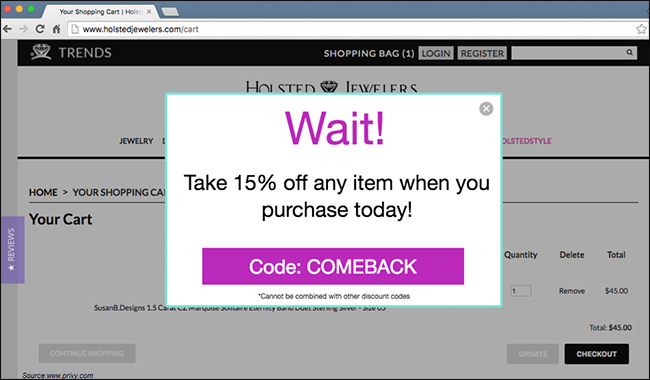 Create a sense of urgency through this eCommerce popup. It helps to motivate website visitors to finish the checkout process right away if they don’t want to miss the attractive offers. According to the Walker Sands Future of Retail 2016 study, nine out of 10 of the survey participants said free shipping was the No. 1 incentive when asked what would make them shop online more often.. While shopping online, most of the people are concerned about the shipping policies and always prefer those online shops which offer free shipping. Suppose, when one of your visitor shows interest in a specific product, goes to that product page to know more, and finally adds it to the cart, a pop up suddenly appears showing similar products of his choice that he would also like to purchase. This process is called cross-selling. Here you can show other products which may accompany with that specific one selected by him. For example, if he chooses a pair of jeans, through a popup, you can show shirts or T-shirts to team up with that. Trust me, this will work. It’s really tough to attract new traffic to your online store, but it’s even tougher to convert them into customers. To grab their attention, you can offer discounts on the first purchase. Through popups, tell them to provide their email address for receiving the promo code which can be used for their first purchase. This way you can easily get their contact details which can be used for future communication and also increase online conversions. ­­­­­­­­­Each of us love to get gifts! 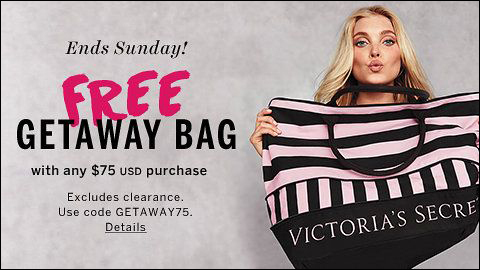 You can offer free gifts/free samples with every purchase. This is a great way to make people happy and get return customers. It helps to build a healthy relationship with them and create a good brand image. This will definitely decrease the cart abandonment rate and people will finish the payment process to get the free items. Often visitors add products to the shopping cart, but suddenly leave the website without purchasing anything. 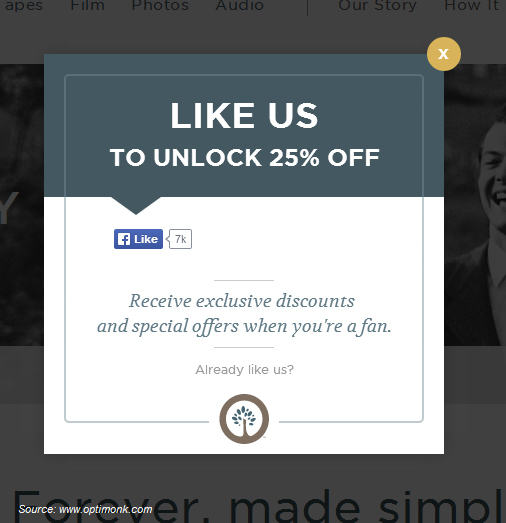 How about displaying exit offers through popups? This actually helps. Whenever a visitor sees this kind of popups with exciting offers, chances are, they stop may be for a couple of seconds to reconsider their decisions. 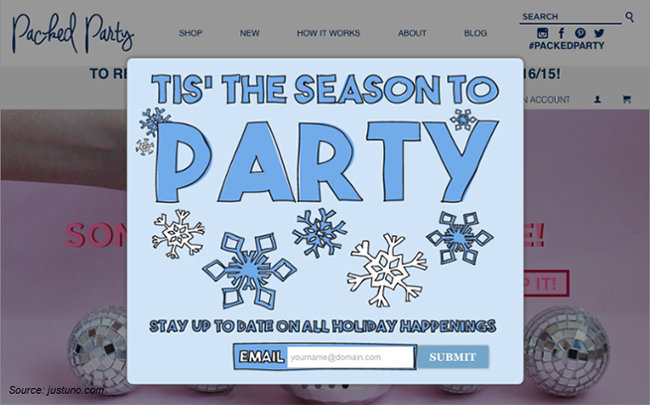 Holidays are a great season to run online sales promotions and to engage with customers in a better way. So design your popup windows to match the look and feel of holiday seasons. 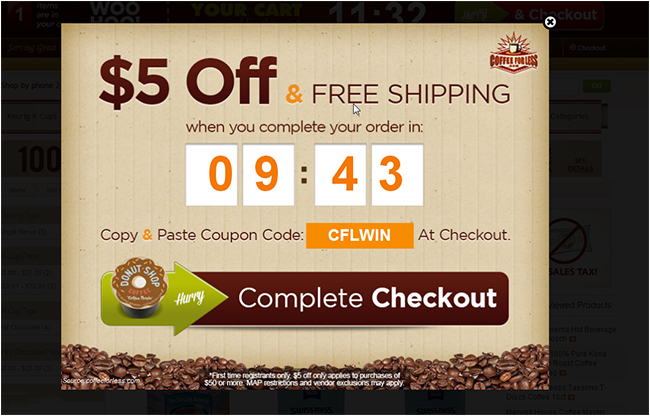 This kind of e-Commerce popups, go a long way in gaining trust and brand loyalty. I think asking visitors to follow your brand on social media is much easier than asking them to buy products from you. If they follow you on social media, then there is a chance that other followers of those customers may follow you directly from there. It helps you to widen your reach. This will be really helpful when you run any promotion or special offers as it helps to make those promotions go viral. There are times when visitors keep some products of their choice under ‘Saved Items’ or ‘Shopping Cart’ and leave the website. After a time span, when they revisit the website, chances are that they forget about those saved items. Here you can use Popups to remind them about those saved items and you never know they can actually buy those. It’s a great way to maximize your conversion rate. On your online store, there must be some pages (new arrivals, sale, gift cards etc.) where you want to drive more and more traffic. When visitors land on your website they may not visit those pages. So what to do? 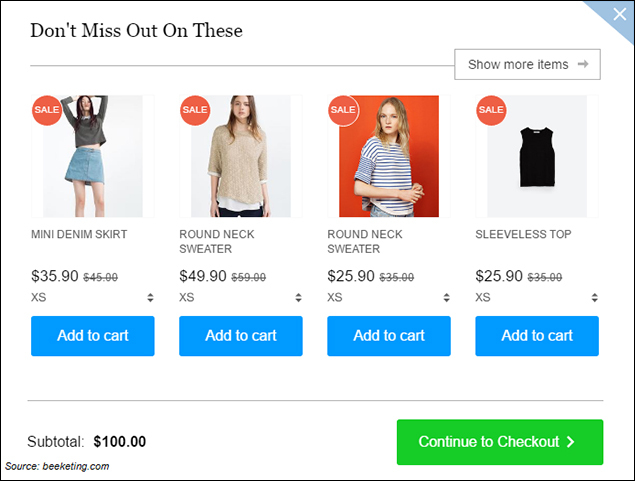 Use navigation popups to drive shoppers to those specific pages. 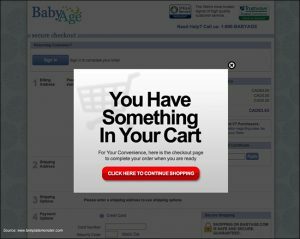 Many people find popups to be very annoying, but it’s still popular for e-Commerce business. For every popup, there is a perfect timing and content that matches exactly with what your consumers want. So, use those above mentioned new and effective ways to create popups and boost your online sales conversions.